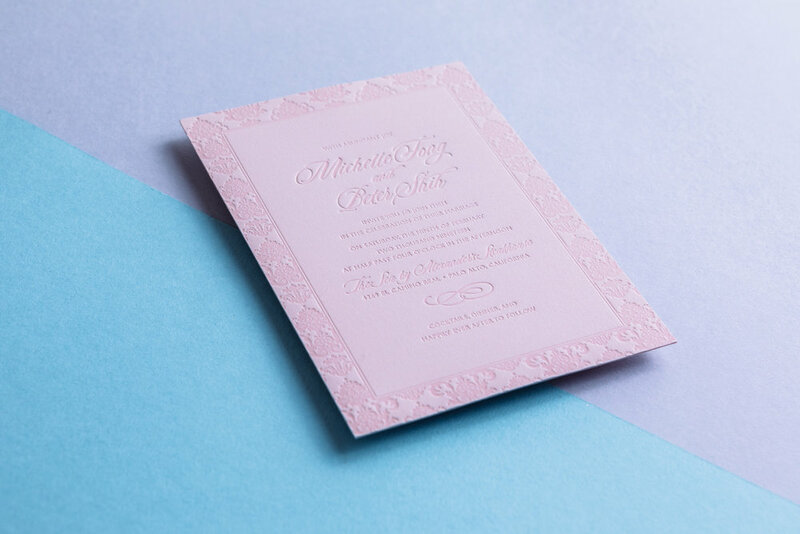 This is a custom adaptation of our Belvedere invitation design. Super-subtle pink-on-pink with Duende and Gill Sans type. Posted in wedding invitations and tagged with pink, blush, tone-on-tone, Belvedere, Strathmore. February 21, 2019 by Travis Friedrich.